The Agnese double bed is a model characterised by a truly regal style, a masterpiece of craftsmanship, ideal for bedrooms furnished in a typically traditional style. There are many details that make this classic bed a so valuable model: for its upholstery, first of all, velvet is used, a high quality and very pleasant material, always considered synonymous with luxury and refinement. The very large headboard characterised by a particular shape is finely realised with buttoned details, the typical decoration of Chesterfield sofas, and its frame is made with a very special craft technique, such as the realisation of a ruffled roller which makes the look of this bed even more clean and refined. 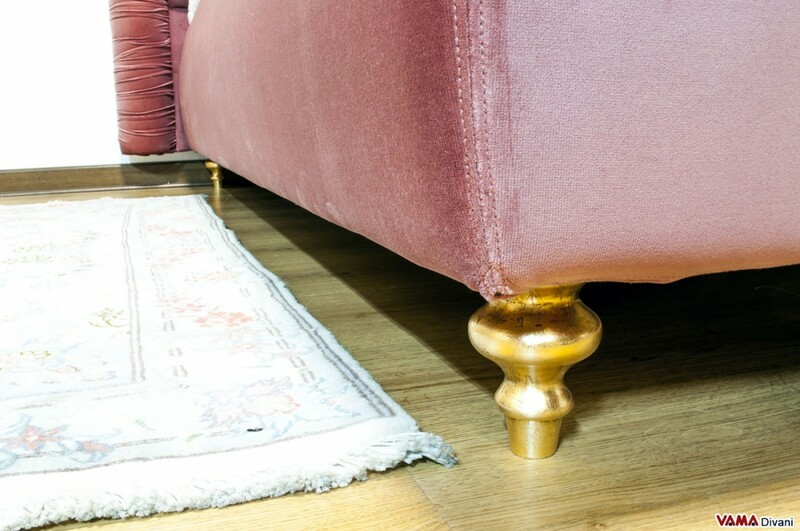 To refine the style of this beautiful velvet bed there are also its elegant turned feet in gold foil colour. 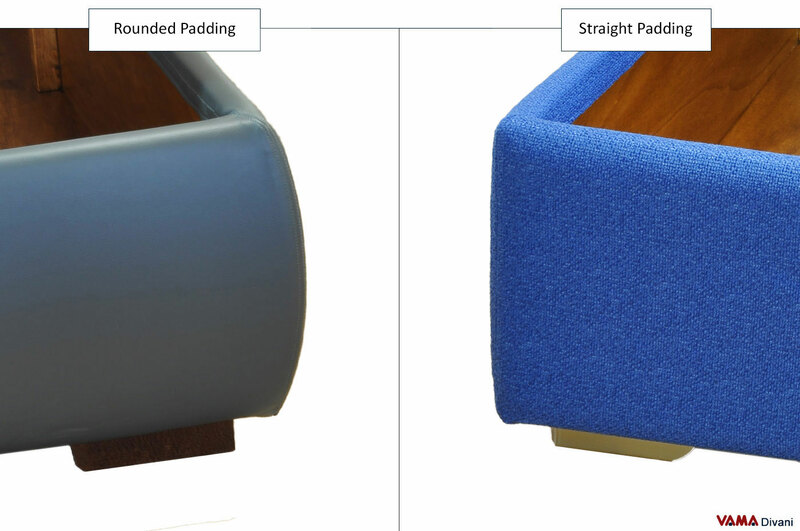 VAMA Divani allows you to buy this custom bed with many different features, such as choosing a French bed or making it more spacious as our beds with storage box: for its upholstery, for example, you can also choose fabric or leather, with the only difference that the leather upholstery would make the roller surface of the headboard smooth, for technical issues. In this e-commerce store you can also select and order the mattresses for the Agnese bed, and you can also buy your quilts in colours or patterns by your choice, to enjoy a bed that absolutely meets your style needs.